Perhaps those of you who accompanied me last year on a tour of the Hayward fault in this area thought the same thing. The paper reported, “An investigation into what caused the fire was underway Tuesday and could take several days to complete, according to PG&E.” Let’s keep an eye out on what they report. This entry was posted on 11 December 2013 at 7:53 pm and is filed under Other topics. You can follow any responses to this entry through the RSS 2.0 feed. You can skip to the end and leave a response. Pinging is currently not allowed. 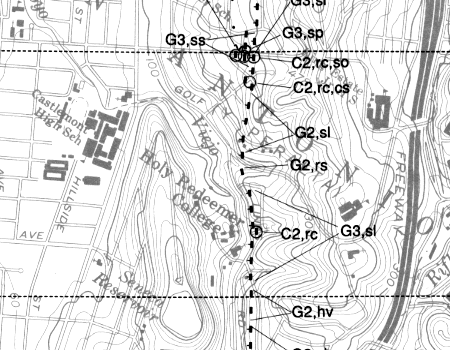 You’d think that any line that lies along or across the fault line would be inspected frequently. When it comes to PG&E and pipelines, plain old incompetence is a lot more likely I think.